Let’s face it, the holidays arrive right on cue every year and most of us can’t avoid getting sucked into a smorgasbord of emotions, not to mention vastly diminished bank accounts by the time January rolls around. The pressure to light up the town with sleepless nights, consume too much food and too much drink, all while feeling immensely grateful for our many blessings can be a bit much. I don’t think that I’m alone in feeling exhausted by the many command performances of the holiday season. Some years are easier than others and some may even be idyllic. For me that’s usually when I’ve been able to slip off on vacation and thereby avoid the craziness. 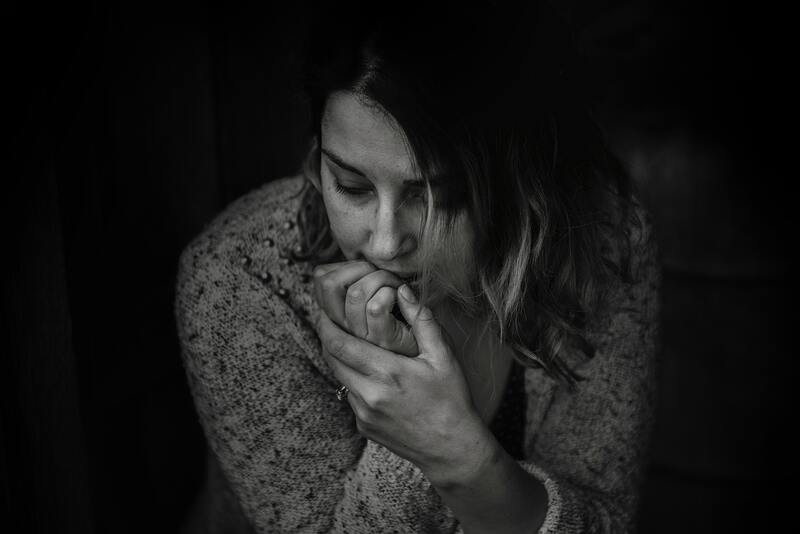 If you happen to be dealing with a serious health issue, have recently suffered a major loss or have a wildly dysfunctional family that you can’t manage to escape, chances are you’ve been feeling a little down in the dumps. And that’s OK! Most of us aren’t wired to feel ecstatically jolly for extended periods of time. January is a time for taking a deep breath and trying to re-group. The important thing, once the dust has settled and your holiday decorations are back in their boxes, is to find ways to get your groove back. This might mean cutting out calorie-laden sweets until you can fit back into your jeans or committing to cardio workouts to boost those endorphins. Feeling our best when feeling bloated, heavy, broke and guilty about allowing ourselves to get that way isn’t easy. I’m challenging you to at least try to forgive yourself though since it really can be self-defeating. If you are feeling truly disgusting or possibly suffering from a lingering cold you might not be able to handle wearing any type of fragrance at all. Last week I had such a bad cold that I literally couldn’t taste or smell a thing. Nada. It’s funny how we take things like breathing through our noses for granted until we can’t. Mouth breathing gets old pretty quickly. There was no point in spritzing on my favorite scents last week. I wasn’t even tempted. Instead I found myself vigorously applying hand sanitizer (though I’m still not sure why since I was already a lost cause) and reaching for tissues every couple of minutes. Everyone in my home was wisely trying to avoid being anywhere near me. I really couldn’t blame them. Absolutely no one deserved the mother of all colds that I had. Candles, which I adore especially this time of the year, have also been ladies-in-waiting until I am totally over this. Curiously though, I found a couple of 3-wick candles burning in our family room a couple of nights ago, both with only one wick lit. Was someone trying to keep the smoke level at a minimum out of consideration for me or did they not notice the other wicks? This remains an unsolved mystery. Well I’ve finally got my sense of smell and taste back to about 85% of where it normally is and that’s a relief. Today I’ve been spending time with some of my favorite perfume friends and realize how much I missed their company. I been keeping it safe with the light and (for me) uplifting fragrances. The ones I reached for today were: Monyette Paris (delightful), Gucci Bloom (must call a current fav), Kai (a great comfort scent always), Van Cleef & Arpels First (a nostalgic scent for me and the aldehydic notes seemed even more bubbly and soapy than usual) and Child (a zen and lovely blend of white florals). I finished with one a teensiest bit bolder, Creed Love in White. I’ve heard it’s Michelle Obama’s favorite perfume and it is on the pricy side. 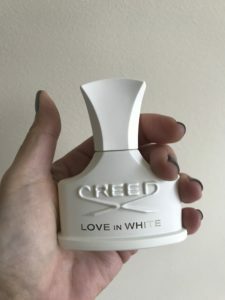 Luckily for me it was a gift, or to be totally accurate, a scent I purchased using a credit for a clothing item I didn’t particularly need or want. LIW has its share of both lovers and haters but I find the sandalwood and vanilla notes incredibly warm and soothing. Note to self: I really should start her book “Becoming” which everyone says is such a great read. I recommend trying any of these scents if you’re looking for an olfactory boost that’ll add some lift to your day and sparkle to your life. The best part is that they all can be ordered online from an up-and-coming retailer you may have heard about called Amazon.com. Do you have a favorite olfactory remedy that does the trick when you’re feeling less than your fabulous self? What do you find brings you the greatest relief? Today is a dreary day here in Florida. There aren’t too many like this, but they definitely make me feel all around “blah”. I never thought about using a scent to make it seem like a much more uplifting day 🙂 I do have some scents of my own, but I am thinking it would be great to also try something new, as I have stuck with the same ones for I can’t remember how long. I am a fan of Gucci, so that might be the one I order! I grew up in California which also almost always has an abundance of sunshine so I totally get it. I’m intrigued about the scents of your own making since I’ve recently ventured into that as well but if you feel like you need a treat then give Gucci a try. I’d recommend trying a sample first though rather than charging in for a full bottle.